1) Not All Real Estate Is Equal! Location, Location, Location—For waterfront homes this is especially true. If you already have a boat, know the length, draft, beam, etc. Every neighborhood is different. Water depths, canal widths, property setbacks, bridge heights, ocean access, are all important to know before you start a search. 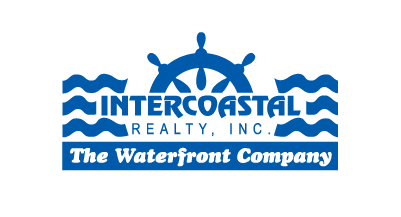 The best idea is to contact one of the waterfront specialist realtors at Intercoastal Realty who understands the neighborhoods and the rules and regulations of boats, their dockage and where they can go. We know our Fort Lauderdale waterfront market better than anyone. Make sure you are working with a knowledgeable and experienced professional who knows the areas in which you are looking. Will your boat fit at the home you are considering purchasing? Maybe- it depends on the neighborhood zoning, the property side setbacks, the canal depth and width, and whether or not there are any fixed bridges between the home and the Intracoastal Waterway. We know our Fort Lauderdale waterfront market better than anyone. Can we assist you in other areas? We are members of worldwide professional real estate groups with similar knowledge and experience in almost every other market. 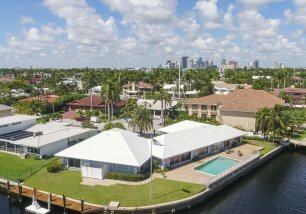 Intercoastal Realty professionals know our markets and we have the willingness to refer to our network of professionals in other luxury real estate markets worldwide. This assures you of service backed by knowledge and experience wherever you look. We do have them, but much more gentle than other coastlines. Typical tides are up/down 2–3 feet twice daily, watch out for the spring and fall lunar equinox when the tides may go to 5 or more feet. The tides are usually noted in the local newspapers or online. Canal depths combined with the tides are important factors to know for home owners with deep draft vessels. You can dock your boat in your back yard, but you typically cannot live aboard. There are exceptions in some neighborhoods and by permit in a few government designated dockages. Live aboard dockage may require special hook-up to the sewer system which is only available in a few places. In most cases renting a dock in a residential neighborhood violates city codes. Some people do rent out their docks, and there are dock companies that put yacht owners together with home owners with vacant docks. 6) What’s that in my backyard? Living on the water means sometimes you will see unusual things in your back yard. Little boats, large yachts, people on paddle boards, in kayaks, and sculls are common sights. There are water creatures breaking the surface, a wide array of native birds, and non native iguanas too. Be careful of mollusks that attach to your dock, pilings and your boat too. They can be very sharp and once attached are not easy to remove. Sea walls come in a variety of construction types, concrete walls and prefab concrete panels are common, and all will last for a long time with minimal maintenance. Docks can also be made of concrete, wood or composite. When buying a waterfront home it is important that you have the seawall and dock inspected to determine the condition and maintenance. For those who use their boats often, proximity to the Port Everglades inlet to the ocean is very important. That is a big reason why properties in Southeast Fort Lauderdale (south of Sunrise Boulevard) are more expensive. These neighborhoods allow most boats to quickly access the Atlantic Ocean by navigating easily under the Las Olas Boulevard bridge (most sailboats and very tall yachts may have to wait for this bridge to open) and the 17th Street Causeway bridge without having to wait for the bridges to open. The 17th Street Causeway bridge has a 55 foot vertical clearance (16.75 meters) which allows all but the tallest ships and sailboats to pass under without opening. The government owns and regulates the water and the canal bottoms. The government regulates how much of the waterfront you can use for your dock and your boat. If your home has a dock, even if it does not meet current regulations, it is usually “grandfathered” in and it can be used and maintained. If you are building a new dock governmental and environmental factors may have an impact. Once you have lived on the water you can never go back to looking at a fence! Sitting on your own deck, dock, patio or terrace looking out over the water is so relaxing. What could be better than having your own boat right there if you have the impulse to take a quick ride or go out fishing, a year round activity with our beautiful South Florida weather!